Newt Scamander is back and just as socially awkward as ever in "Fantastic Beasts: The Crimes of Grindelwald," the latest film in the "Harry Potter" prequel series, about wizards in the 1920s staving off intolerance and political turmoil in the buildup to World War II. 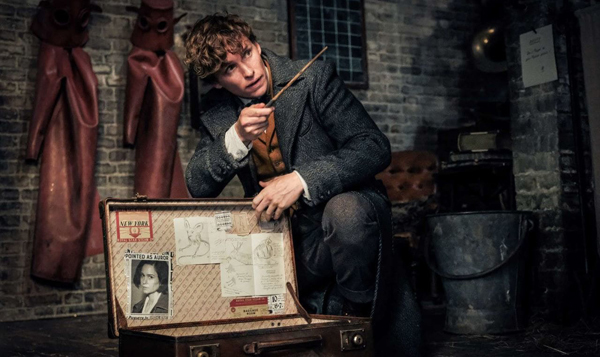 Eddie Redmayne stars alongside Katherine Watson, Dan Fogler, Johnny Depp, Callum Turner, Zoe Kravitz, Ezra Miller, Alison Sudol and Jude Law, in film directed by David Yates, who helmed every "Harry Potter" film since "The Order of the Phoenix." In his review at The Wrap, William Bibbiani describes "Fantastic Beasts 2" as a "1,000 page novel shoved into a 134-minute running time," critiquing the film for its convoluted storyline and dropped supporting characters, but praising the film for its distinctive protagonist and rejuvenated sense of wonder.